Free beer and tamales at Timbuk2's grand opening this Saturday! 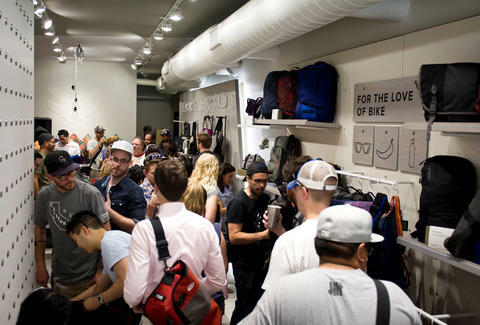 SF-based indestructible bag-maker Timbuk2 launches its first Chicago store in the heart of Bucktown on Saturday, with a party from 2-8pm -- but that's just the tip of the iceberg. Are you ready for the Titanic? There's going to be free suds from Revolution, free tamales from Tamale Spaceship, deals on Uber rides to & from the event, and $5 Miir stainless steel pint glasses. For all the details you'll need on the opening, and a first look at the new digs, check out Timbuk2's blog.